Bubbleezz are back for a second time! 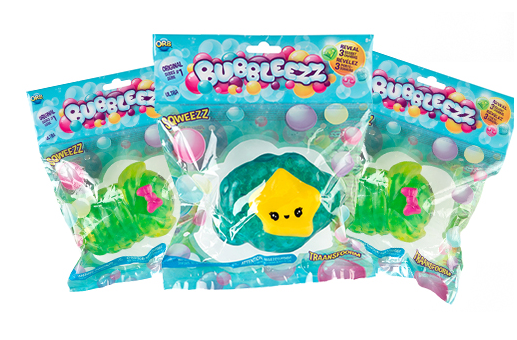 Bubbleezz are adorable collectable squishy characters that live and play in a parallel Bubbleverse – a squeezy bubbly world of wonder & fun! Bubbleezz have hidden power charms – squeeze and transform your Bubbleezz character to reveal their inner powers and unique personalities. The Bubbleverse is a happy bubbly world where all the Bubbleezz live in harmony. Collect them all!